Give your kids a fun Halloween activity to do! 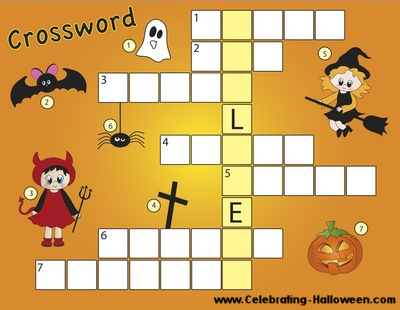 This free Halloween crossword puzzle will engage them in a creative and challenging activity this Halloween. Click on the Halloween puzzle image above to open the image in a new window. Then, right click on the image and either ‘Save As’ or ‘Print’. And in case you haven’t guessed, the answer is ‘HALLOWEEN’!